This post is for my girlfriend, who got me to write it. And, before I go any further, let me tell you that this isn't the usual kind of thing I post on this blog because it isn't about beer. It really isn't. Instead, it's about a beer-related beauty product. Shampoo, to be precise. Yep, shampoo and not beer. Now that that's out of the way, let me further elaborate on this post: I'm treating it like everything review post I've written. It'll have a rundown on the product's creator, sensory reactions (Purrl's included! ), the whole memory thing, and final thoughts. Read it. Not because of beer (it's obviously not here) but because you might learn something about a product you may come to use. 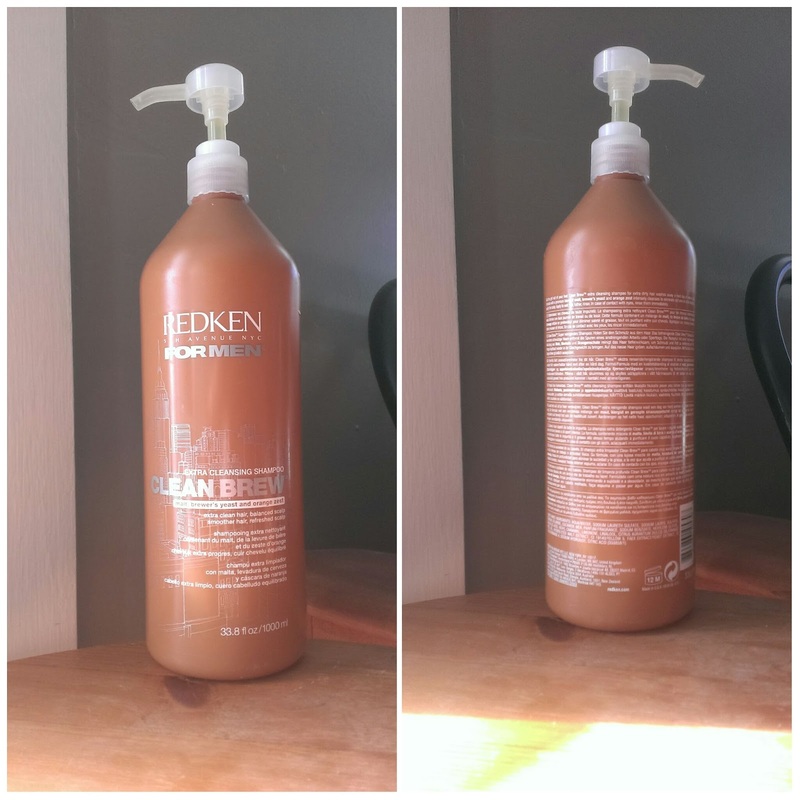 Redken Laboratories has been around since 1960. It started with Paula Kent and Jheri Redding, whose combined names form the Red and the ken (think celebrity power-couple names, like Brangelina). The company, that started in California, was purchased by L'Oreal in 1993 and moved to New York City's 5th Avenue. In 2009, Redken won the distinction of being one of the "Icons of the American Marketplace" (as defined by Random House Publishing and Columbia University). 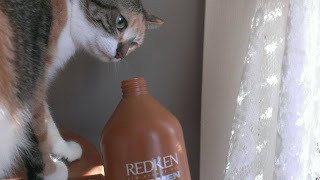 Today, you can find Redken products all over the place. Redken for Men is Redken 5th Avenue NYC's men's line, which offers products such as shampoos, conditioners, soaps, and styling gels. My girlfriend, who used to work at Ulta, suggested I get the brand's Clean Brew shampoo because it contains malt and brewer's yeast. At $24 for a liter bottle, I originally said no. But, with her employee discount and a liter sale (when all liter bottles of shampoo are on clearance) she was able to snag it for me for around $10, which is just the right price I'd pay for it. As mention, the shampoo contains malt and brewer's yeast. Redken's page for the stuff also lists orange zest. There are a lot of really nice reviews for the product on the page, and Clean Brew has an average rating of 4.9/5. How's it smell, you ask? Like shampoo with a bit of a citrus kick. You won't go into work smelling like beer after lathering up with this stuff. I was at first expecting it to have the aroma of brewing wort (i.e. beer before it ferments), which is a sweet, grainy scent. Instead, it smells clean (like a shampoo probably should). Purrl hates how it smells. She took one whiff and winced away. Instead of taste and mouthfeel (both of which I'm sure would be awful), let me discuss the lather of Clean Brew. It's nice. If you get enough of it in your hair you can spike it an a mohawk before you rinse it out! As for how it makes your hair feel after you've rinsed the shampoo out and dried off, it isn't half bad. Clean, smooth, and fresh. It's actually a really nice shampoo! Clean Brew in my hair. Showers are my favorite part of the day. I take one almost as soon as I get up every morning. I crank the water on hot, and just stand there for a moment, waking up. My favorite thing to do in the shower is give interviews in my mind (as though I'm a famous person) or win imaginary arguments. 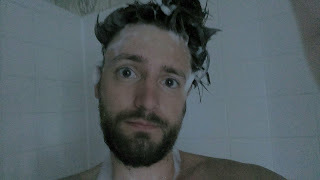 I've been told I sing in the shower sometimes, too, which is unnerving because I don't really ever catch myself doing it. Clean Brew makes me think of taking a shower (which is good, because in the shower is exactly where I use the product). At $24 a bottle, Redken for Men's Clean Brew isn't worth it. Don't get me wrong--it's a great shampoo and I've been using this singular bottle for months. But I just cannot justify spending so much on a hair cleaning product when I can get something that'll do an adequate job for the fraction of the price. However, if you can find it for cheap, Clean Brew is well worth it. For the $10 mine cost, I give it an 8.5/10. Good shampoo.